Benign gastric outlet obstruction is an uncommon complication resulting from peptic ulcer disease. There are a variety of surgical interventions available for the treatment of gastric outlet obstruction, including drainage procedures as well as procedures requiring resection with reconstruction. 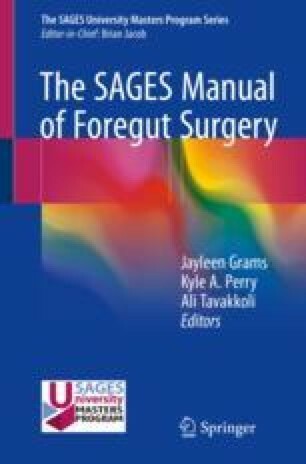 In this chapter we describe surgical techniques for pyloroplasty. Both traditional open procedures and newer laparoscopic and endoscopic methods are described.